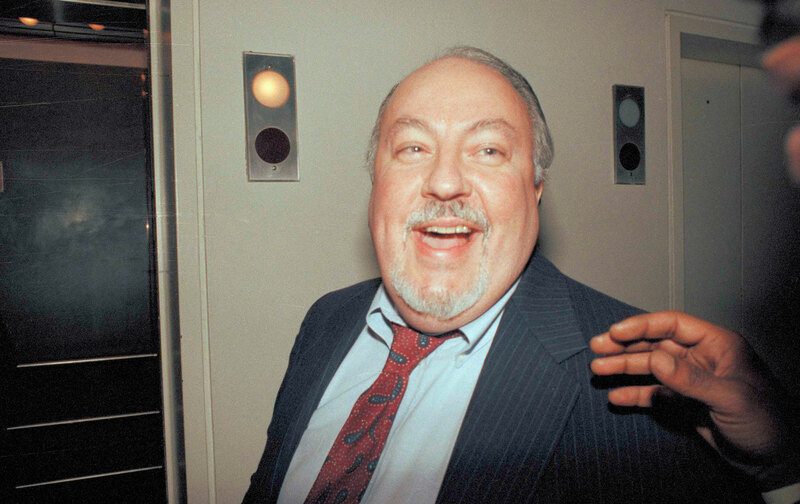 Roger Ailes, the most darkly influential man in American politics over the last 50 years, died Wednesday, as competing Donald Trump scandals forced the appointment of a special counsel to investigate possible collusion between the Trump campaign and the Russian government. The Republican Party Ailes helped build, as an adviser to GOP presidents from Richard Nixon to Donald Trump, and most importantly at alternative-reality network Fox News, is now paying for its reliance on the white cultural backlash Ailes stoked, which led the party to hitch its wagon to the narcissistic rageaholic now tweeting incoherently in the White House. Maybe the death of its intellectual patron, reportedly due to a blood clot after a fall, will serve as a warning to the party: anger, arrogance, and seething resentment of a rapidly changing country can be fatal. I only met Ailes once, in about 2000, for an off-the-record meeting where Salon’s editor-in-chief and CEO were pitching a Salon-branded show to Fox. At the last minute they took me with them (with Ailes’s death, our promise to keep the meeting off the record passes, too). It was a crazy idea, but it was the kind of inspired zaniness that drove Salon’s founder David Talbot, who had a track record of making impossible-seeming gambits work. We weren’t scheduled to meet with Ailes, but at the last minute, he decided to sit in—as if he had to get a look at these bozos who thought “Fair and Balanced” actually meant fair and balanced. Of course, he took over the meeting, simultaneously bragging about his success and demeaning us, all while being some mutant form of charming. He dispatched our idea pretty quickly. “I created a TV network for people 55 to dead,” Ailes boasted to us. “Nobody believed it could be done, but I did it. It’s for guys who sit on their couch with the remote all day and night.” That seemed a condescending way to talk about his audience—not to mention, much of the Republican base—but it was fascinating anyway. “And they don’t want to see anyone like you,” he continued, looking directly at me. I wasn’t sure whether he meant a liberal, or a brunette newswoman in a dark pantsuit. “They don’t want to see you—they don’t even want to know that you exist!” And he was obliging them: he’d created a world where women were blonde and wore short tight skirts, men were in charge, and articulate, principled, complicated liberals—especially women—didn’t exist. But Ailes also wanted us to know that he wasn’t such a bad guy; in fact, he said, he talked to Jesse Jackson all the time, as though Jackson was able to confer decency on Ailes in the eyes of silly liberals like us. “Jesse’s a good friend of mine,” he confided. “He calls me when he’s in trouble.” The advice he said he gave Jackson involved a series of insults and expletives that I won’t share here. Ailes ended our meeting saying he was tired, complaining/boasting about not getting enough sleep lately, because his third wife Elizabeth had just given him his first child, Zachary. At the time, he was “only” 60, but he looked older. It was a little creepy to think he had an infant son. Obese and arthritic, he exuded terrible health and tremendous self-regard. He shuffled out the door of the conference room, walking as if in pain. I never saw him in person again. Seventeen years later, we know that despite his accelerating poor health, he created a vigorously cruel culture inside Fox News, an even uglier version of what he put on the screen, where women, no matter how talented and powerful, were subject to his lewd advances and harassment, while his most powerful anchor, Bill O’Reilly, was up to the same tricks. Ailes chose Trump, another sexual abuser, over the woman who seemed to be the future of Fox, Megyn Kelly, when Trump insulted her—and his minions made death threats against her. On her way out the door to NBC, Kelly said she, too, had been sexually harassed by Ailes. As Trump took over his party, Ailes lost his job at Fox last summer, though he got $40 million to go away. He briefly advised Trump, but that didn’t last, either—he told friends the future president “couldn’t focus—surprise, surprise—and that advising him was a waste of time,” according to Gabriel Sherman, his biographer. Last August, he was spotted at a New Jersey diner with his wife Elizabeth, apparently in his pajamas. But his wife has reportedly been appalled by the reports of her husband’s crude behavior with women, and they have been living separately. He was alone in Garrison, New York, when he fell, Sherman reported, and his wife was in Palm Beach. It’s become a cliché that after the end of a long marriage, whether due to death or divorce, the surviving spouse often dies, as if of grief or abandonment. I don’t know much about Ailes’s inner life, but it seems obvious that once he lost the love of his life—his powerful perch at Fox News, where the world revolved around him—he passed away quickly. But the Fox he left behind hasn’t yet learned the right lessons. All this week, as the Trump administration fell apart, the network’s attention has been elsewhere. On Wednesday Tucker Carlson’s show was spotted sitting shiva for the cancellation of a Tim Allen show I’d never heard of. Ailes is gone, but Fox is still protecting its viewers from tough truths. This is unlikely to end well for anybody.